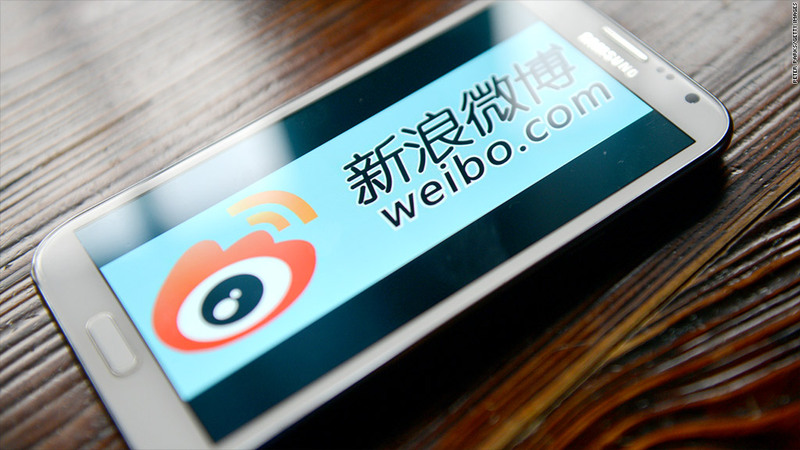 Chinese micro-blogging site Weibo had some big news late Friday -- details about its initial public offering. The company, sometimes called the "Chinese Twitter," filed with the SEC to sell 20 million shares at a price of $17 to $19 a share in an IPO that could raise as much as $380 million. Plenty of market watchers have Weibo on their "favorites list" as they look for ways to tap into the Chinese market. The math works out so the company would be worth about $4 billion after its IPO. Weibo is owned by Sina Corp (SINA). and has about 130 million active users a month. It will list on the Nasdaq under the symbol WB. It's been quite the week for IPOs on Wall Street with GrubHub (GRUB) officially starting to trade today. The online food ordering company's share price rose more than 30% despite a large sell-off in US markets. Lise Buyer, of advisory group Class V, wasn't surprised about today's Weibo news. "The IPO market is robust all around the world. The market's performance has caused institutional investors around the world to focus on reward, rather than risk," she said. Buyer should know something about that since she was part of the team that brought the Google IPO to the market. Today's news is a precursor to an even greater Chinese phenomenon that's expected to hit the market soon: Alibaba, which others have compared to a combination Google/Amazon/eBay of the world's second biggest economy.